Homosexuals and their supporters were rebuffed again at Beckley Common Council’s bi-monthly meeting. 105 people listened as four speakers, representing WV conservative groups, pastors, businessmen and landlords, spoke against granting civil rights status for homosexual behavior in housing and employment. Sound common sense arguments were presented against the ordinance while one WV HRC representative spoke in favor of the ordinance with a plea to treat all people fairly. A couple of local chur ches gathered petitions from their congregations and submitted 750+ of them to the council in opposition to the ordinance. The homosexuals submitted approximately 375 petitions in favor of the code change. During the meeting a speaker ask those citizens in attendance to stand in opposition to the proposed code change. 95% +/- of those in attendance stood. The Mayor and Council listened intently to the speakers and then moved to close the meeting.A short video and excerpts made by the speakers are available from the Register-Herald newspaper, click here. Praise God for the pastors, church members and general public that gave up time with family to show up in opposition to this ordinance. Our homosexual friends have vowed to continue the fight until they succeed. Please comment on this post on our Facebook page. WV conservative groups, pastors, and businessmen were made aware of a Beckley councilman’s request for the City to include “sexual orientation” and “gender identity” into the city’s Human Rights non-discrimination code last week. He did this at the request of a Beckley citizen who has a homosexual son. Anti-homosexual groups, WVFF included, started making contact with council members, Beckley pastors and residents. The news spread fast through Raleigh County’s and Beckley’s Christian community. Calls were made to council members to express their displeasure of the possible outcome if this request came before the Common Council. No doubt callers recalled the recent news from Houston, TX, where a lesbian mayor approved the issuance of subpoenas for sermons and emails of Houston Pastors. Five pastors had recently worked together to acquire and submit 50,000+ signatures, seeking to overturn their city’s new homosexual non-discrimination ordinance. 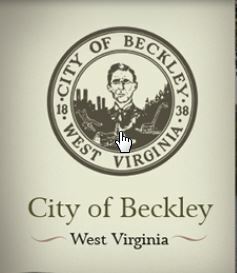 The Beckley ordinance would have been almost identical if taken up and passed by Council members. Praise God for the wisdom of these men and women, as prudent conservative council members, who saw through the attempt by homosexuals activists, Fairness WV, to get special rights passed in their city. The party says homosexual marriage would be good for our country. Voters have a choice: vote for Democrats and homosexual marriage or Republicans and natural marriage. Be a part of the solution, not the problem. Click here.